Just in time for Halloween - or anytime! 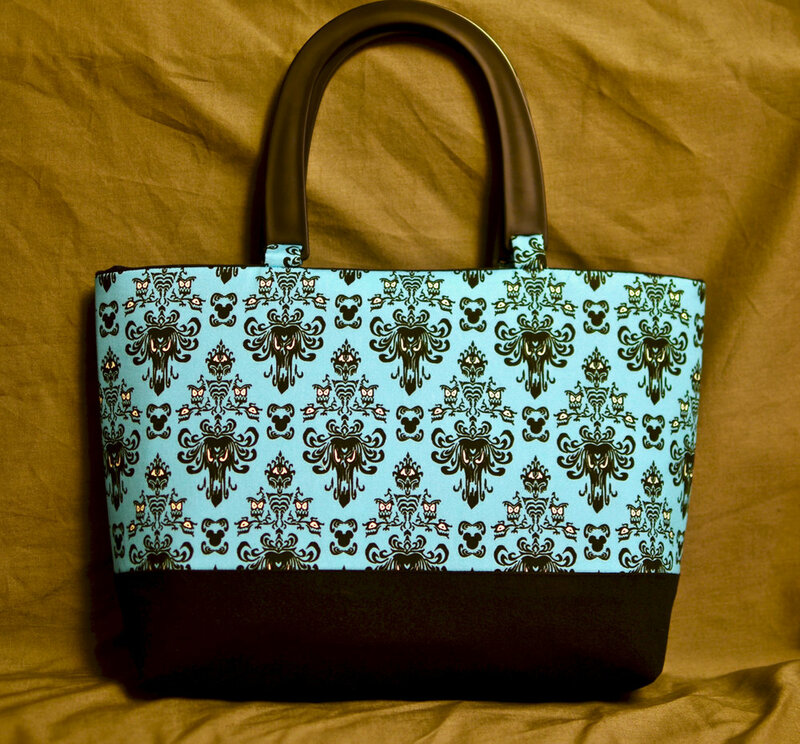 Cotton handbag with black plastic handles. Height 8 1/4 inches, width 10 inches, depth 3 inches. 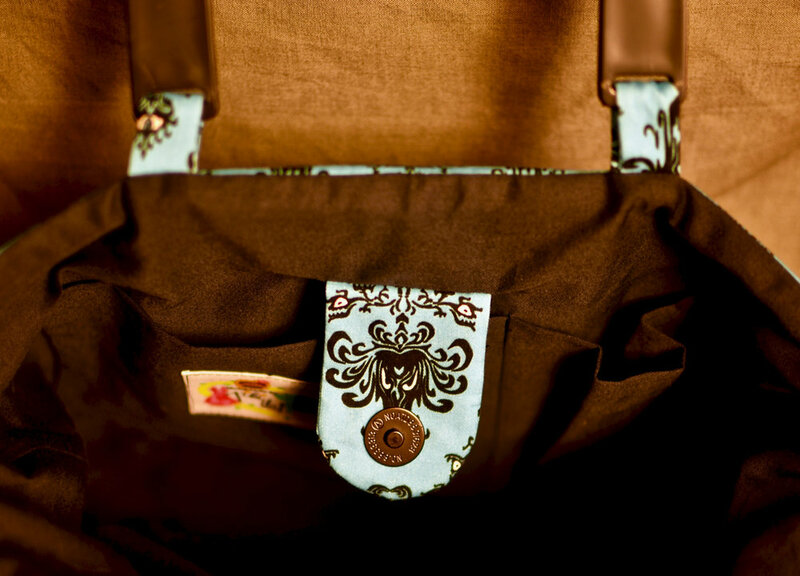 Magnetic snap closure with interior pocket.